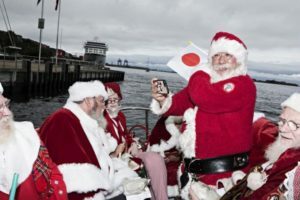 The annual World Santa Claus Congress, now in its 60th year, has drawn attendees from a dozen countries, most sporting traditional red coats and white beards despite the warmer-than-winter weather. 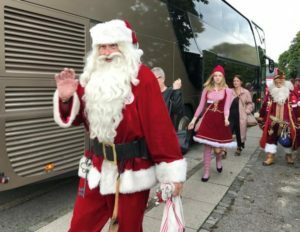 It’s summertime in Denmark but Santas from around the world are already planning for the festive season, with more than 150 gathering in Copenhagen to share some early Christmas cheer. 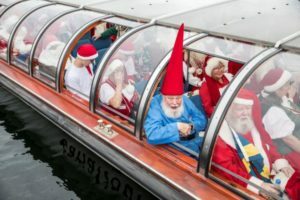 The three-day event, always held at the Bakken amusement park, will see the Santa’s parade in the streets of the Danish capital, bathe in the sea and enjoy a herring tasting. Some will also take to the runway at a fashion show. 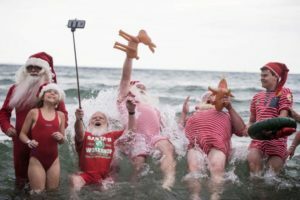 “We have a discussion about important things in life – for example, which day is Christmas Day?” said Santa Wolfgang from Germany, who has been participating in the congress since 1996. Christmas is celebrated on different days in different countries, with Advent and other traditions extending the festive season through most of December and January. Another hot topic at this year’s congress is the colour of the Christmas tree, said Santa Elizabeth from Denmark. “This year we are deciding whether the tree is to be purple, red or green … Green is my favourite colour,” she said.